There are very few projects that offer multiple options to choose from and avail a new home. The township projects are the ideal ones to settle down as the facilities will be far better than the conventional projects and you will also find ample open space for recreation. Being a part of such project is a perfect way to lead a peaceful life ahead. 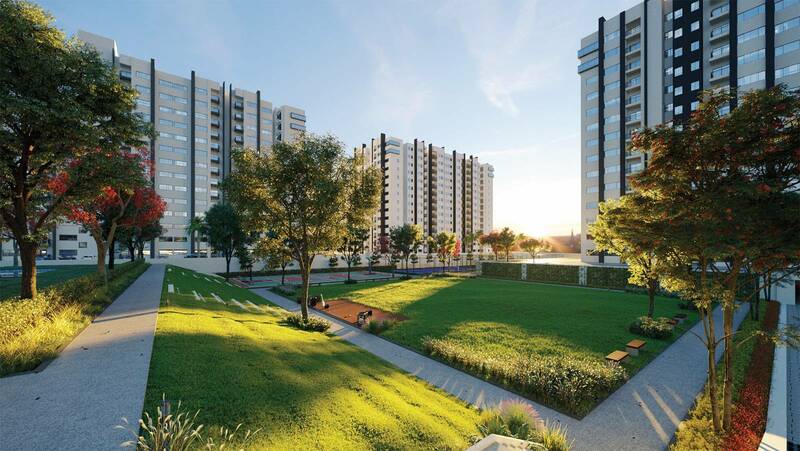 To get the best home in Bangalore, you can seek the properties from Embassy Edge. The brand has planned to make a remarkable project a reality so that the home seekers can find their dream homes in their preferred location. Embassy Group is a world-class real estate developer from whom you can expect nothing but the best properties. The developer has always taken a step ahead of time and created a perfect space where a family can reside without any hassle. It latest venture, Embassy Edge will be a multifaceted project where the modern families will find utmost convenience to live. Embassy Edge will be constructed on a huge area acquired in Devanahalli. It is one of the most prominent locations in the northern part of the city. Devanahall is the best place where you will find everything for a smooth daily life. The location has developed a lot as the city is growing in this particular area. Devanahalli is in the close proximity to the leading IT corridors of Bangalore. The professionals will find a seamless network of roadways to connect with their respective workplaces. It will be easier for the homemakers to arrange a good school for their kids. The presence of markets, malls, eateries, banks, ATMs, hospitals, etc will also cater provisions necessary. The developer has acquired a huge piece of land of area 288 acres. It has planned to allocate 2.6 acres area for the development of retail units within the township premises. Embassy Edge will offer 1 BHK, 2 BJK, 2.5 BHK, and 3 BHK apartments along with 150 villas for all types of home buyers. The area of the apartments will vary from 607 square feet to 1406 square feet. There will be total 3000 units of apartments, 800 plots, and 150 villas for the residence seekers. The open space will be delivered in the form of recreational amenities. Green parks, playing grounds with sitting areas, community halls, clubhouses, etc will be there for the residents. Embassy Edge will be the best place to live in Bangalore in the upcoming years.